Along with the Bulgarian city of Plovdiv, Matera is European Capital of Culture for 2019. It’s not one of Italy’s best-known towns, but that should change this year. 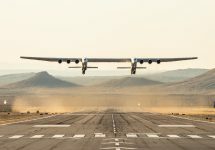 For a start, it’s one of the longest continually-inhabited cities in the world. There’s been a settlement at Matera since as long ago as the 10th millennium BCE, and now the Sassi, the underground city, draws sightseers from all over the world. It originated in the cave system below the town, a prehistoric troglodyte settlement, and grew after being settled by the Romans in the 3rd century BCE. Until as recently as the 1950s, however, it was known as the shame of Italy, a spot so wretched that even God was said to stay away. 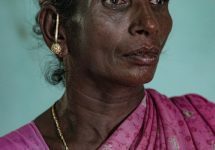 Poverty, malaria, and a population that often still lived in the caves with no electricity, running water or drainage meant that something had to be done. After Carlo Levi’s 1945 book, Christ Stopped at Eboli, brought the dreadful conditions to a wider audience, a visit from prime minister Alcide De Gasperi spurred the government into providing infrastructure for the residents. It helped drag the town out of poverty, and Matera became a place built on young people moving in, as well as a location for film production. Its revival is now complete. The cave dwellings were saved from destruction (older residents wanted the whole lot filled in with concrete to destroy the memories of the appalling times of their youth), and since 1986 have become residential again. 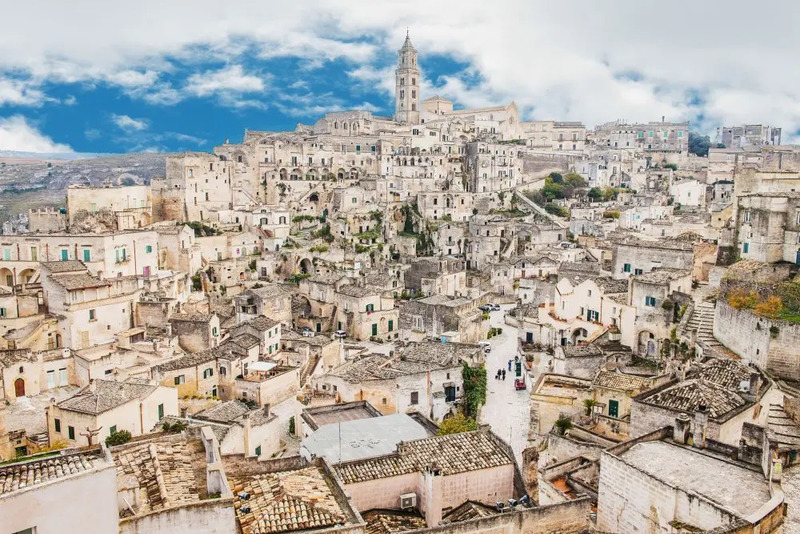 Their main aim is to keep visitor numbers sustainable: “We don’t want to be like Venice or Florence,” insists Enzo Acito, chief of tourism for Matera. That remains to be seen, but now might just be the time to discover the town for yourself. We’ll get this out of the way first: Skopje is weird. Not in a bad way, but… weird. Garish, even, in a lot of ways, but never less than thoroughly entertaining. The central area by the river underwent a redesign under the auspices of a program called Skopje 2014. This was designed to promote a strong sense of nationalism by building imposing, classical structures in a style vaguely reminiscent of the Soviet Union’s surge of classical-based, boulevard-heavy grandeur. However, it feels kind of like a film set. Things that look ostensibly old are oddly shiny, and often plonked incongruously wherever the architects felt like it rather than as part of a city that’s grown organically. It’s nothing if not entertaining. Oh, and they love an absurd statue or three as well. Dig deeper though, and you will find a city that is so much more than that slightly naff veneer. This is, after all, a city that has its roots in a time before the Romans, and has been the capital of a number of empires, surviving the rise and fall of every single one of them. Byzantine and Ottoman structures still survive — the wonderful Turkish Bazaar, two Turkish baths, and a number of simple but elegant mosques remind the visitor of the fact that the city remains a gateway between the east and the west. It really is one of Europe’s most unusual cities. Taipei is all about the food. As with many Asian countries, street food is the thing people are after, and Taipei certainly doesn’t disappoint. There’s everything you could want, from the traditional to the unusual, and if your stomach can’t take days of full meals, how about a selection of xiao chi? These are simply “little snacks”, meaning you can get the full range of flavours in miniature as you tour the city. The Shilin District market should be your first port of call for all things tasty, but you might also want to check out Huaxi Street, home to some more esoteric selections, including dishes made from venomous snakes, ducks’ tongues, chickens’ feet or, simply, rats. All these are prepared by highly-trained chefs of course, so unusual they may be but specialities they remain. Taiwan is also the home of bubble tea, popular in many parts of Europe and the USA nowadays, but available in a mind-boggling array of colours and flavours in Taipei. The country’s unofficial national drink is cheap, cheerful and a must while you’re here. For a taste of a more traditional tea, hop on the incredible cable car into the mountains. Here you can find acres of tea fields peppered with temples and tea houses. Taiwan produces incredible black, green and white teas, but it really is the oolong that you have to try while looking out from the hills over the city. 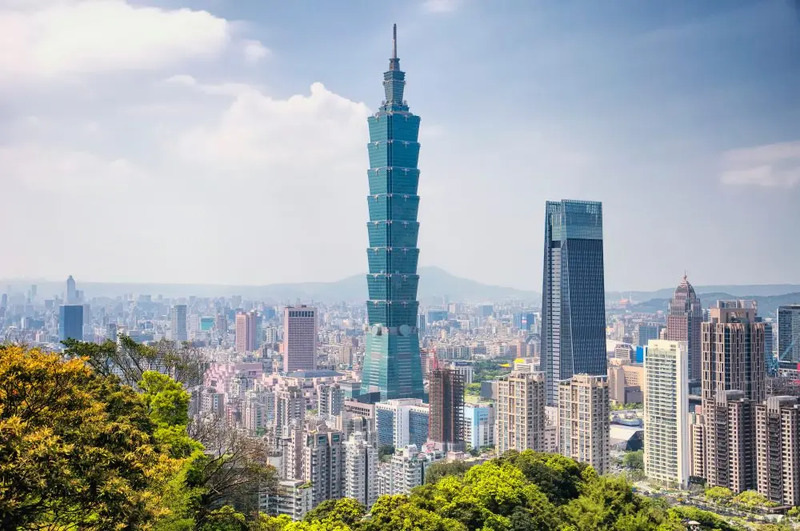 Taipei is a truly 24-hour city with an unusual mix of Japanese, Chinese and even American influences; clean, modern and friendly (in which other city would you find free umbrellas on public transport for rainy days?) with a cheeky sense of humour and a fun-loving spirit. 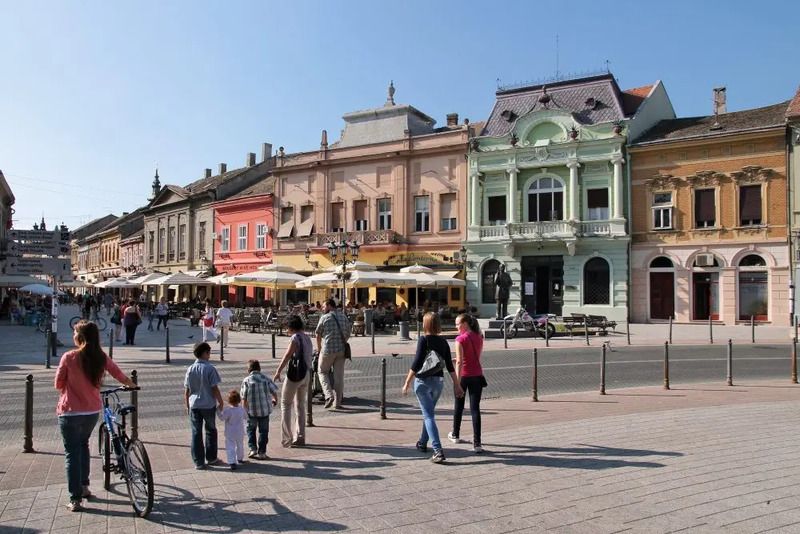 It’s all very well being the European City of Culture like Matera, or the European Youth Capital like Novi Sad, below, but who’s hosting Eurovision in 2019? That’s right, Tel Aviv. 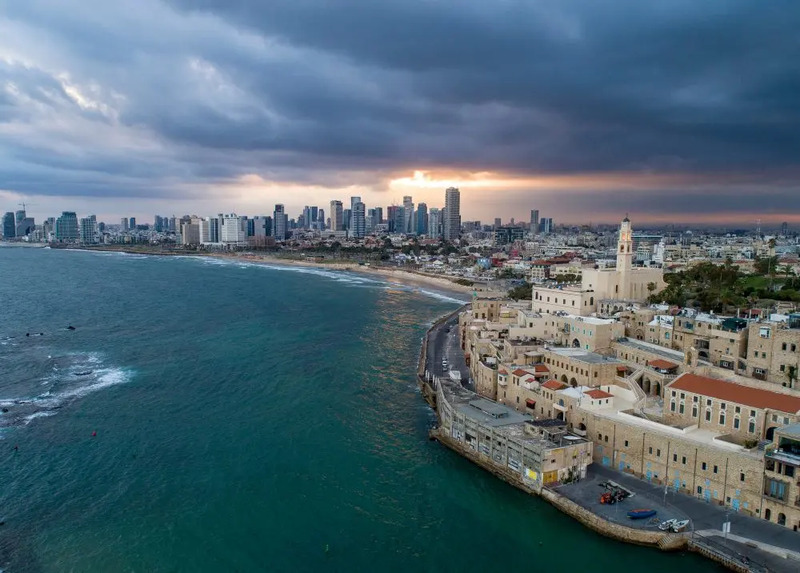 An underrated city, perhaps due to Israel’s fluctuating position on the world’s political stage, it’s very definitely a cool place to be. 14 km of coastline, with beaches and gently breaking waves stretching as far as the eye can see, coupled with a young population whose focus is on having fun more than anything, means you’re never short of a party to go to or a beach bar to hang at. It’s a modern city with the largest collection of Bauhaus buildings anywhere in the world, and their sleek, elegant 1930s style is the perfect synonym for the city. Whether strolling around them with the bright sunlight glinting off their walls, or going out at night in the multicoloured glow of the glass and steel skyscrapers that are home to the scores of rooftop clubs, it’s a handsome place to be. When you finally stop to relax, there’s a fine dining culture and an arts scene that covers the entire spectrum from street performers to opera and ballet. Whatever you look for in a city holiday, you might well find it here. For one of America’s biggest and most historical cities, Philadelphia tends to get slightly forgotten about when it comes to tourism. Generally losing out to more well-known east coast cities such as New York City and Boston, maybe this year should be the year you find out about Philly. 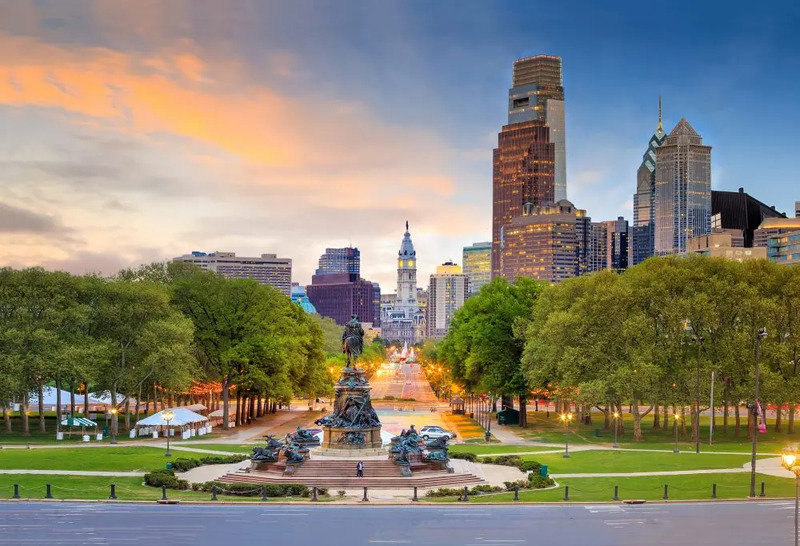 It remains a quintessentially US city, combining some of the most famous historical sites in the entire country, including Independence Hall (where the Declaration of Independence was signed and the Constitution adopted) to the nearby Liberty Bell. The Benjamin Franklin Museum is wonderful too: what’s not to love about a guy who was not only central to setting up a brand new form of government, but also demonstrated that lightning was electricity, played the wine glasses, and published a list of 220 synonyms for drunk? Food is of course essential to any American trip, and the Philly cheesesteak is the city’s most famous culinary export. There are many, many places to get one or, if you fancy having a go at making one yourself, head to the Reading Terminal Market, a vast complex that was once the largest train shed in the world. Here you can buy almost any delicacy you want, from Vietnamese street food to quail eggs and everything in between. The Philadelphia Museum of Art and the Barnes Foundation are two places to feed your artistic soul, while a more hands-on approach can be found at the Magic Gardens, a former hippy commune that’s now home to wonderful glass and mirror mosaics sprawling across formerly vacant lots. That pretty much sums it up: history, culture, and all with a street level grittiness that adds a touch of the thrilling. 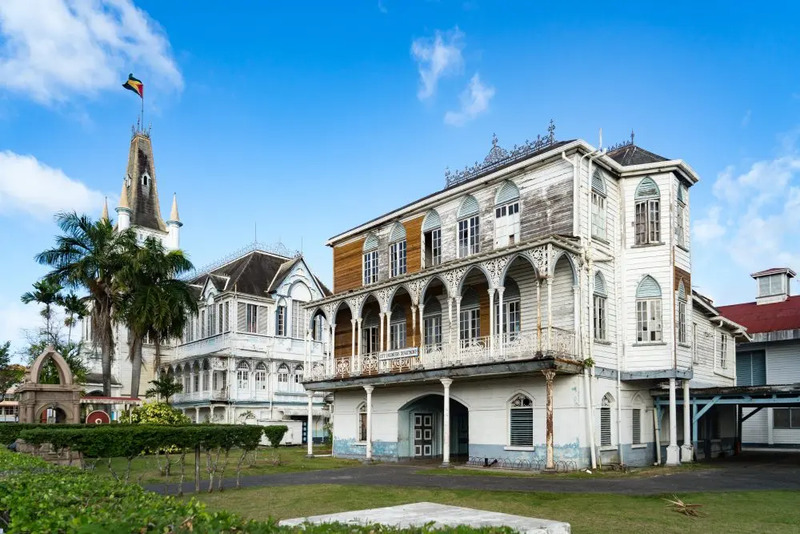 Originally built and administered by the Dutch (and later the British, the French, the Dutch again, and then the British once more), Georgetown recognises this colonial tug-of-war in its street names and architecture. 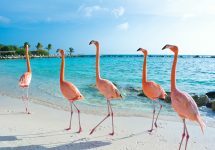 The Garden City of the Caribbean is slowly becoming a popular destination for more adventurous travellers with its mix of European, Caribbean and South American influences: Dutch canals; grand, whitewashed houses that evoke turn-of-century New Orleans; and accents that drop the odd bit of British (“crikey!”) in there. It’s also probably the only South American country with a market for Marmite. 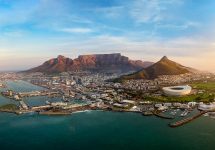 There’s a wide variety of beautiful wooden buildings surrounding bustling market squares, as well as riverside and seafront promenades, a zoo, a botanical garden and, if that all gets too exhausting, a rum distillery. The city is served by two airports: Cheddi Jagan international airport has connecting flights to places as distant as Toronto, and the newly expanded Ogle Airport is a hub for flights around the Caribbean. There are daily ferry connections to Brazil and Suriname. The final thing to note is that, as with many developing countries, crime can be a problem, but by keeping your wits about you and taking obvious safety precautions (don’t get drunk and wander about unlit back streets late at night, although that applies to pretty much anywhere), you’ll be able to discover the best of the city. 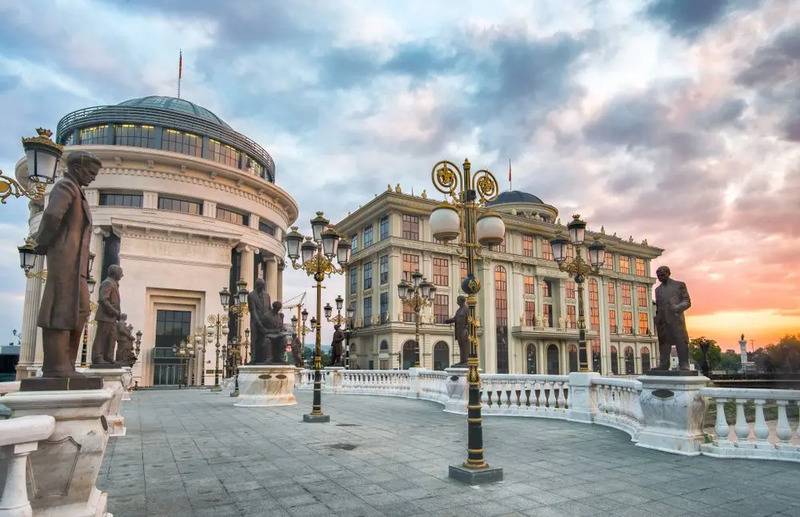 Serbia’s creative hub is being recognised in 2019 as the European Youth Capital, and so there’s no better time to visit. 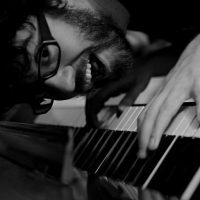 More laid-back than Belgrade, its EXIT music festival brought Novi Sad to the wider attention of Europe, and this year the festival celebrates its 20th anniversary. On top of this, many parts of the city have been given a bit of renovation, with the Petrovaradin Fortress and Lower Town getting spruced up. Indeed, Chinatown (not an actual area based around a Chinese community, but a former industrial site) has become the place to hang out as industrial units and workshops have become clubs and bars. All this means that the city will receive more recognition in a couple of years’ time: it’s already been voted European Capital of Culture for 2021, and with its history, artistic bent as discussed above, booming culinary scene and relaxed atmosphere, it’s not difficult to understand why. Make 2019 the year you give Novi Sad some love. A city with wealth, historically, culturally and literally, the story of Potosi began in 1546 when silver was discovered in the surrounding highlands. Silver mining continues to this day, supporting the economy (although in a much lesser way than before) and helps to preserve the mansions, churches and plazas that it initially helped to build. 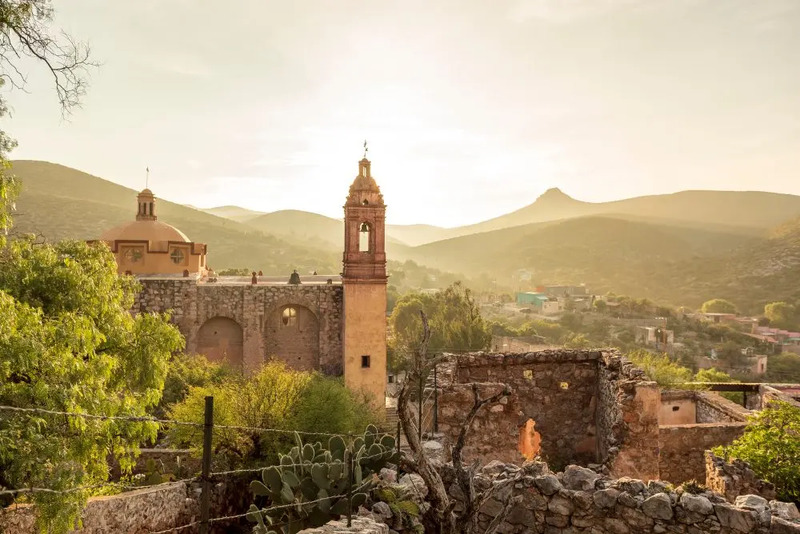 The copper and clay coloured old city is a Unesco World Heritage site, with streets and squares lined with ornate buildings, as well as the solidly-buttressed San Luis Potosí Cathedral and Basilica. Despite many of the buildings being used for more mundane purposes now, you still get a sense of what it must have been like before the silver — and therefore the money — ran out. You can visit the mining museum to learn about the trade that still continues today, although for lesser metals such as copper and tin. Being off the tourist trail (as a lot of Bolivia remains), it is an unusual choice of destination, but a place whose wealth and importance was once almost mythical in its size (even today, something of great value in Bolivia is said to “vale un Potosí”, or to “be worth a Potosí”), and was once the richest city in the Americas, is somewhere not to be underestimated.